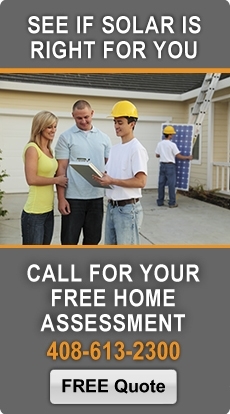 Freedom Solar is proud to offer system monitoring to our customers. Monitoring allows you to view your solar production history. It also allows us to keep an eye on your installed solar equipment and assist in servicing any equipment that may become faulty. We can only do that when your monitoring is transmitting data. Occasionally, you may notice that you cannot view your production when you log into your Solar Monitoring Portal. This occurs when your system is either not producing or your monitor no longer has an active internet connection. Each of the above steps refer to one of the sections below. Please follow the instructions in each section. After completing the steps, wait several hours and login to your Monitoring Portal again and see if your system is reporting again. After looking at these sections, if you are still unclear about your equipment, please contact us at monitoring@freedomsolar.net and we will reply and let you know. Our experience has shown that most monitoring system problems are due to internet communication issues, but it always good to first check that your system is still producing. You can do this by checking the display of your inverter or monitor to see that production is occurring during daylight hours. You can also log into your PG&E account and look at your hourly usage, which will show negative usage on most sunny days. If you are not producing, call or email us so we can start solving the issue. In order to power cycle your internet connection device it is important to know which device you have and where it is located. If you already know how your monitor is connected to the internet, open the section below to find specific instructions about how to power cycle it. If you don’t know, start with the PLC section as that connection device is the easiest to find and identify. If you have Power Line devices, you will find one connected to your router with an Ethernet cable. Confirm that it is plugged solidly into the wall (not a power strip) and that the Ethernet cable is connected tightly to both the PLC device and to the router. Unplug the PLC device for 10 seconds and then plug it back into the wall outlet. If you find the one connected to your router, there will be a second one connected to your monitor. It will be power cycled in the next step so continue on to Monitoring Equipment. If your monitor is connected to the internet using your home wifi network, you may have a TP-Link wifi device (left photo). It will stop connecting if you change your wifi network name or password, install a new router or change Internet Service Providers. If you have changed one of these things, then you will need to reconnect the device to your new network credentials. You will find the device in a utility box (center photo) or inside the bottom of the Power Manager (right photo). (Note that the scale of the photos is not identical). You will need a screwdriver to open the utility box or lower half of Power Manager. Below are links to the reconfiguration instructions for the three devices that we use. Find your device and click to download the correct instructions to reconnect using your new wifi credentials. If you have not changed either your network name or password then you can go to the next step to power cycle this device along with your monitor. If you have Open Mesh devices, you will find one connected to your router with an Ethernet cable. Confirm that it is plugged in and that the Ethernet cable is connected tightly to both the Open Mesh device and to the router. Unplug the device for 10 seconds and then plug it back in. When it comes back up the Power and Internet lights should be on. If you find the one connected to your router, there will be a second one connected to your monitor. It will be power cycled in the next step so continue on to Monitoring Equipment / Outside. By far, the and most effective method to connect your monitor is by running Ethernet cable directly from your router to your monitor. If your monitor is connected in this manner, please power cycle your router by unplugging it for 10 seconds and then plugging it back in. The key to being able to power cycle your monitor is know where it is located, inside or outside your house or both (multiple parts one inside, one out). Open the appropriate section below. If you don’t know where your monitor is, it is most likely outside. There are photos in each section which may help you recognize what you have. If you are still unsure, please contact us at monitoring@freedomsolar.net. If your monitor is outside, you will need to find the correct circuit breaker to power cycle it. Look first for a breaker labeled "Monitor" or "Solar Monitor" in your main or subpanel. Simply flip that circuit off for 30 seconds and then back on. The photos above show both the Solar breaker and the Monitor breaker but if no circuit is labeled Monitor, flip the Solar breaker(s) off a minute or two and then back on instead. If your monitor is inside, such as the ones in the above photos, simply unplug it for 20 seconds or so and then back on. You may be able to tell from the display whether or not it has an internet connection. If you are unsure, take a photo of the display screen 15 minutes after power cycling it and send it to monitoring@freedomsolar.net. If you find either of the above monitors in your home, it is paired with another device in or near your inverter. This means that you will have to power cycle both monitoring devices. Take care of this one first by unplugging it for 10 seconds and then plug it back in. Then find your Solar circuit in your sub or main panel and flip that one off for at least a minute and them back on. If there is a circuit labeled "Monitor", flip that one off for 30 seconds and then back on as well.